Buy 10+, Only $7.95 ea. 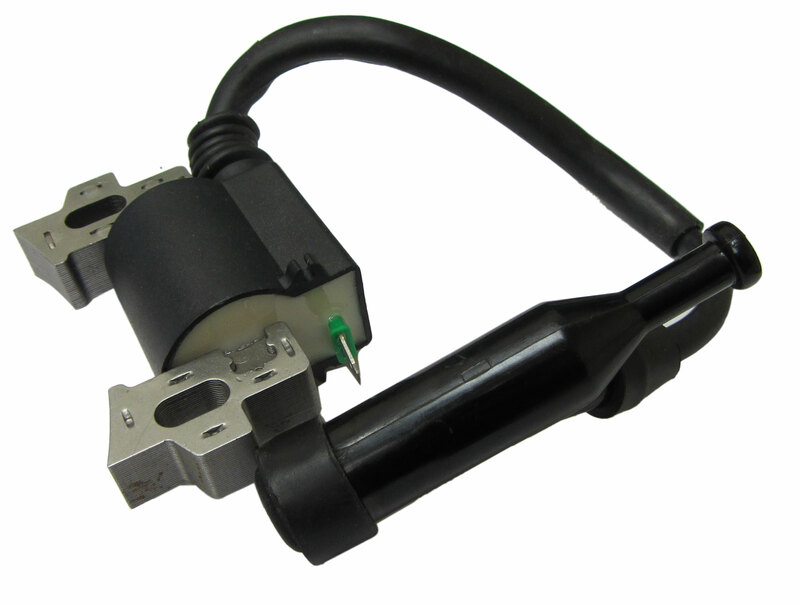 This ignition coil assembly was originally manufactured for 6.5 HP Blue Maxx (Clone Engine) used on imported engines from Jiang Dong, Ltd. in China. Compatible with most 5.5HP or 6.5 HP OHV Clone (Yellow, Blue, Box Stock Clone [BSP]) or Honda GX110/ GX120/ GX140/ GX160 / GX200 Engines. Fits Baja Warrior WR65, Baja Heat HT65 and Baja MB165, Coleman CT200U and MB200, Hammerhead 80T. Also fits generators, lawn mowers, water pumps and more.